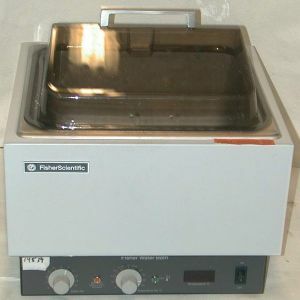 Product Description The Fisher 10L basic water bath offers dual temperature control, a +/-0.5C accuracy and a uniformity of +/-0.2C over the entire operating range. The primary electronic thermostat provides proportional heater control, which eliminates drift. It lets you select the exact temperature you want. A back-up thermostat system helps assure reliable performance and virtually eliminates interruptions. The capacity is 10L and the temperature range is ambient to 100C (with supplied cover). HAS EUROPEAN PLUG.